Deadline to submit proposals is April 22, 2017. APPLY FOR A 2017 HEROES GRANT. Read about the community service projects of past Harvardwood Heroes! Harvardwood awards $500 grants* to applicants who have demonstrated a distinguished level of service to their organizations of choice. Every year, grant winners will be determined by the strength of their proposal. They will receive the first $250 upon announcement of the winners and the balance of the grant upon submission of a final essay six months later. Applicants whose service project is arts-related will receive priority. To apply for an HH grant, please read the guidelines below. Harvardwood Heroes grants will be awarded annually, pending the availability of resources to support the program. *Grants can be spent at the winner’s discretion. 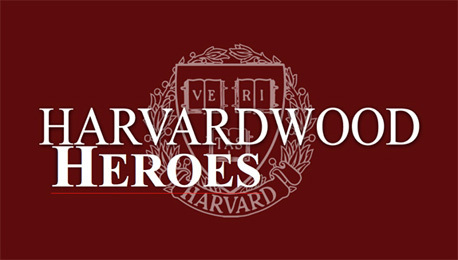 Become a hero by sponsoring our Harvardwood Heroes! Individuals can make a donation to support the program, and individuals who donate $500 or more may assist in the selection of grant recipients. Companies may become an official Harvardwood Heroes partner by sponsoring one or more grant(s) ($500 each) or by sponsoring the program outright. The sponsor's logo will appear here and on all promotional materials (online and in print) regarding Harvardwood Heroes. All Harvard-affiliated individuals are invited to apply for a Harvardwood Heroes grant, so sponsoring companies receive maximum exposure to Harvard students and alums. Contact Dona Le at Harvardwood for more info. Visit the Harvardwood Website for more details.